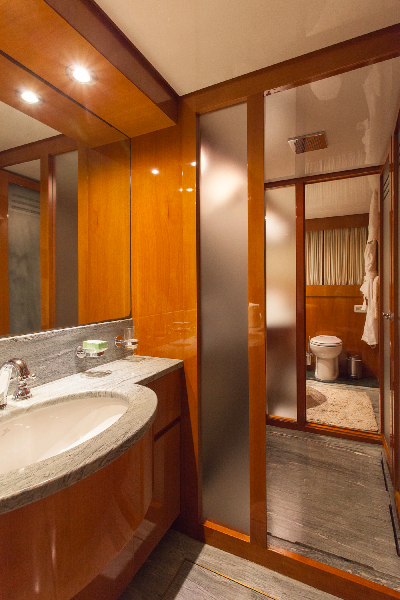 Full Beam Master Stateroom King + 1 Full Beam VIP Queen + 2 Small Twins, each with private bathroom. 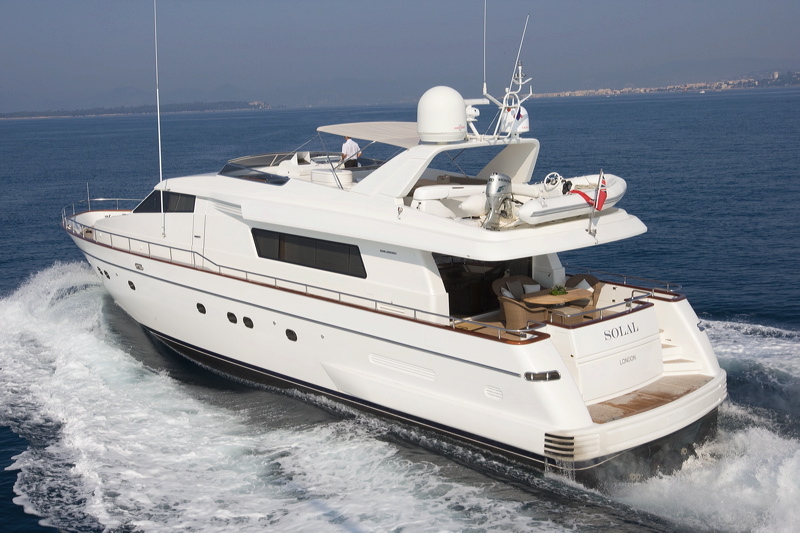 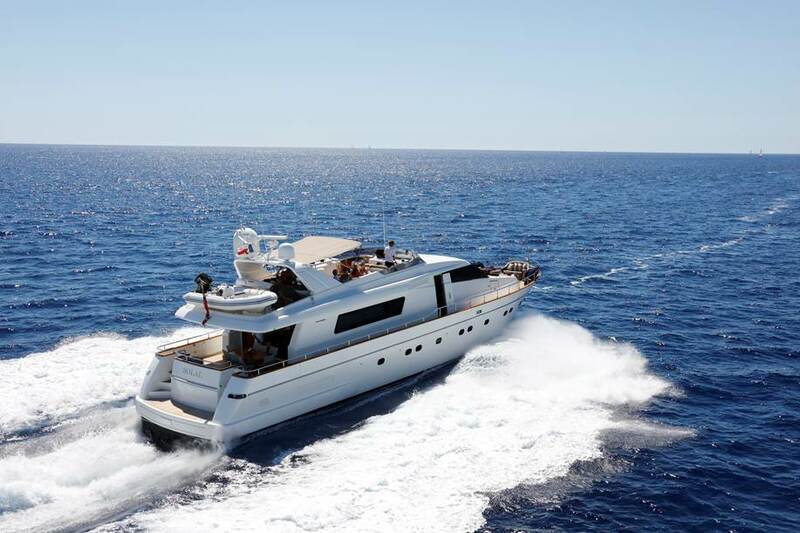 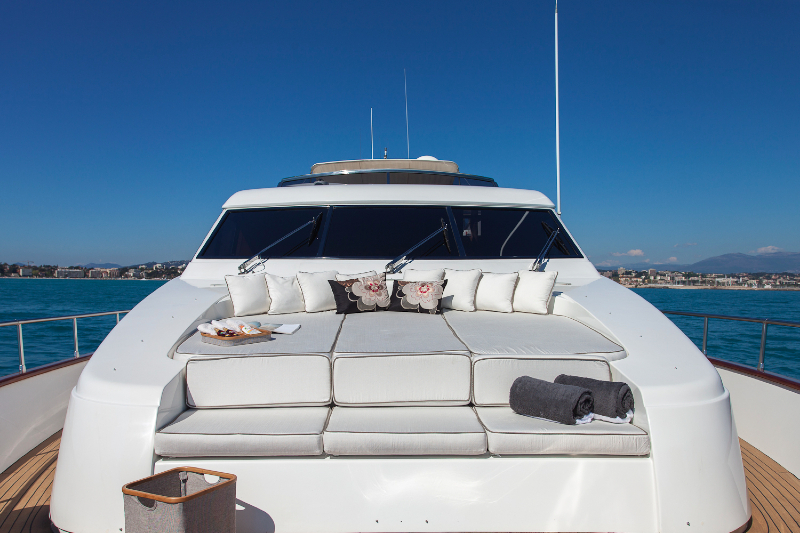 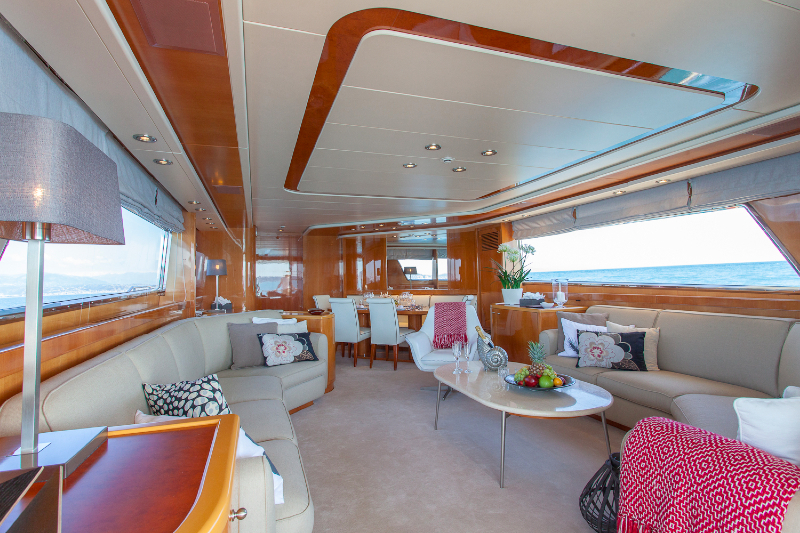 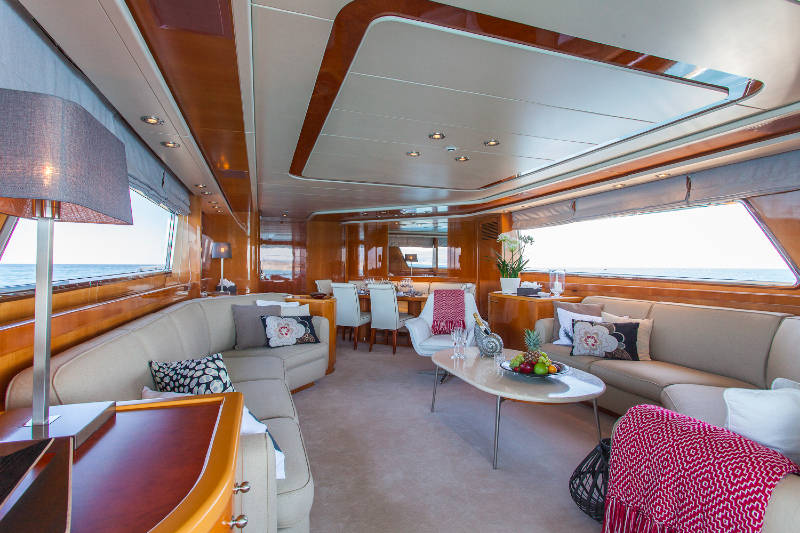 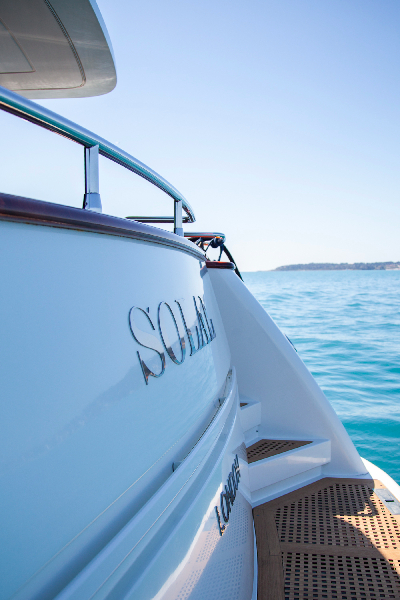 Based in Antibes, France, this nifty, beautifully decorated, modern, 79′ San Lorenzo (Italy), fast, pilothouse motor vessel SOLAL competes on every level. 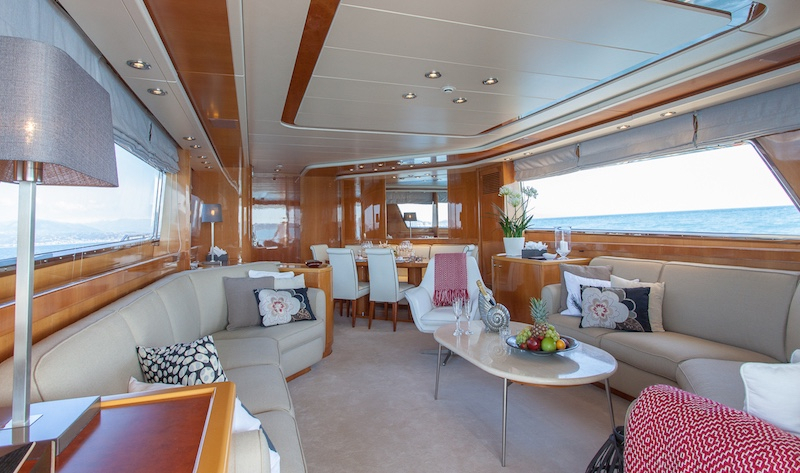 Her English-speaking crew of three, led by South African captain, Tony Kruger, plus Lisa, the South African deckhand and stewardess, plus Australian chef Ben are sure to please English speaking guests. 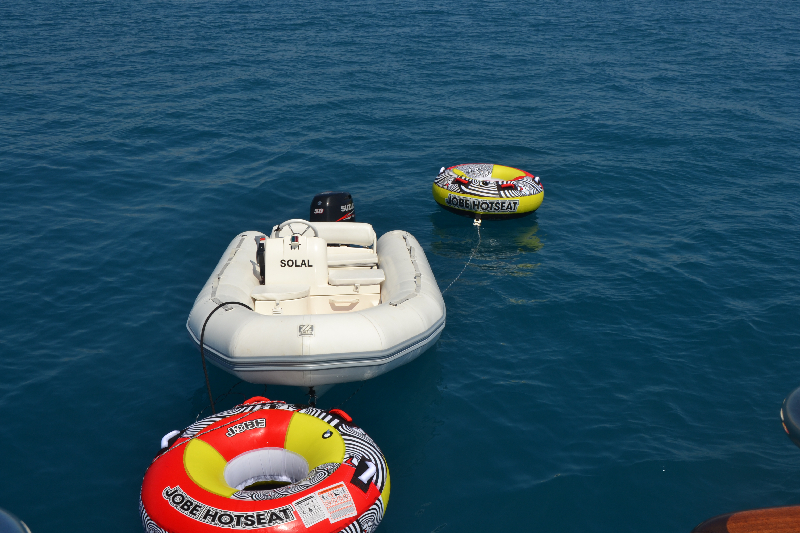 Tony, Lisa and Ben are as nice as they can be. 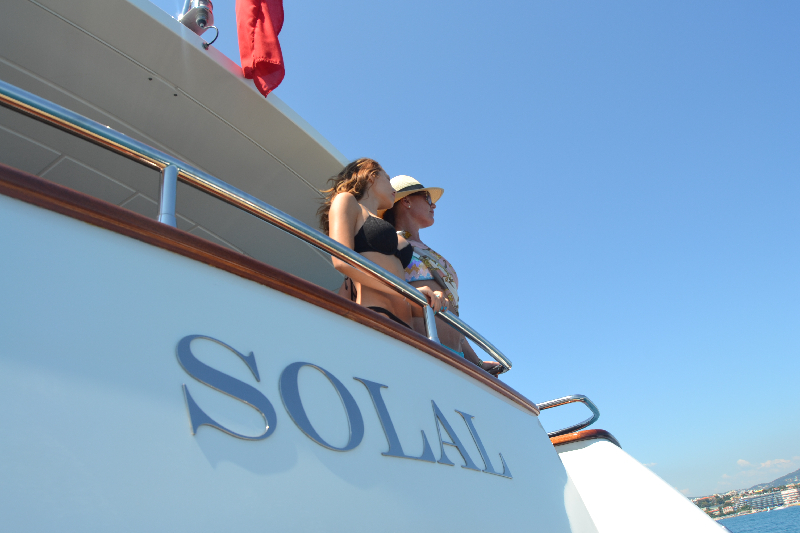 Energetic, natural, and fun-loving, they work well as a team; they share their duties and help each other and guests. 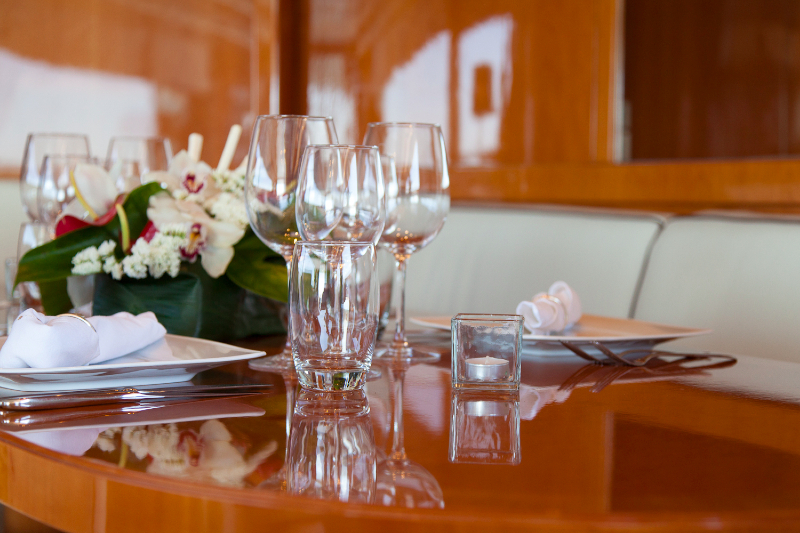 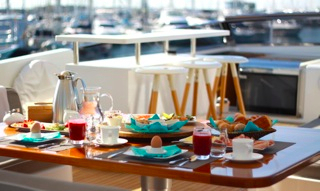 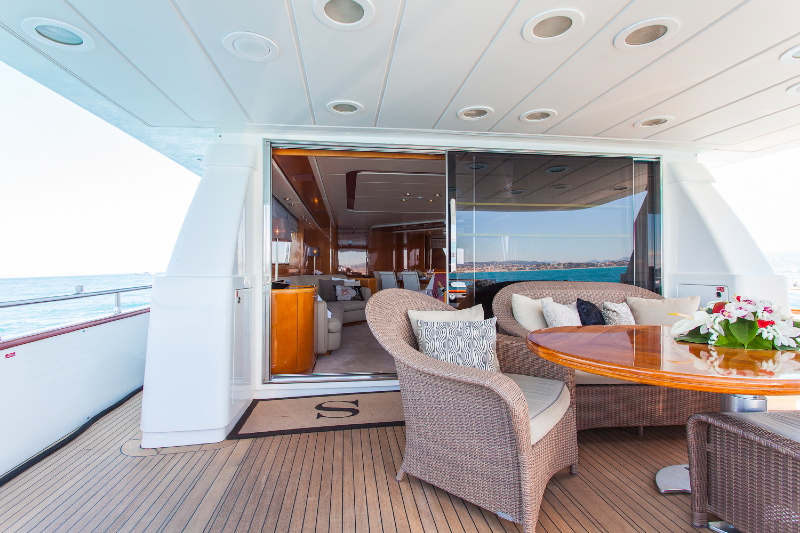 Diners are offered three options: the sundeck dining table seats ten; the saloon table seats eight, and the aft deck table also seats eight. 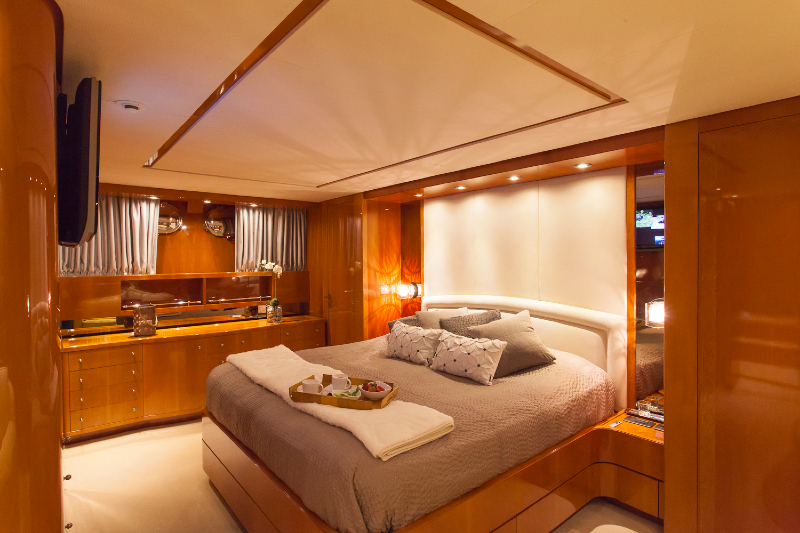 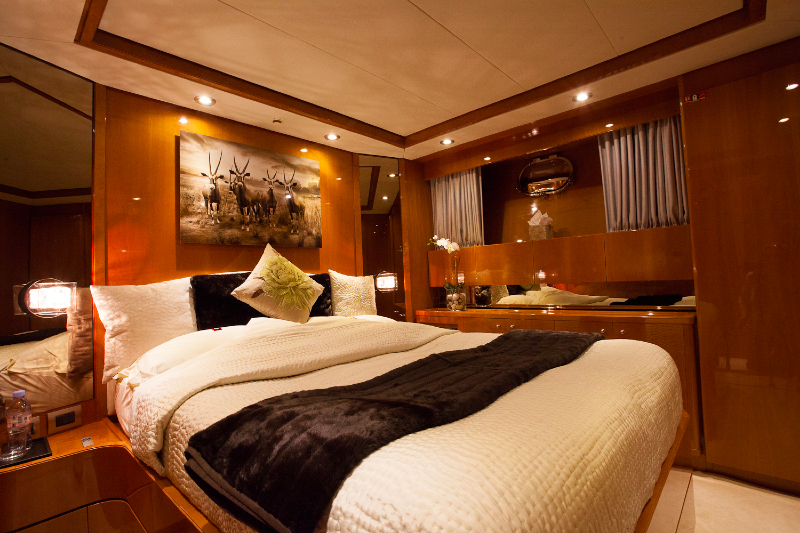 Though a 1999 model, the yacht was not actually launched until 2000, and her full beam master cabin has wood panelling, Apple TV with Satellite reception (in English), his and her bathrooms, and LED spot lighting. 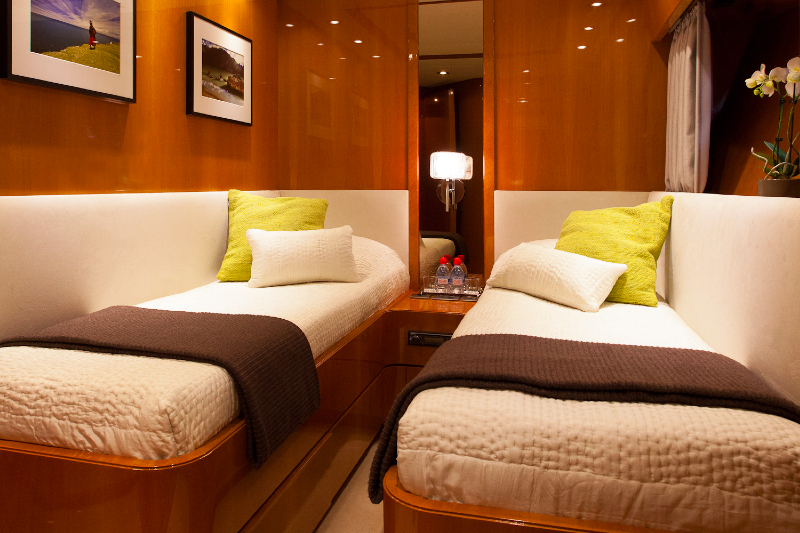 The Full-beam VIP cabin has the same size bed as the master, Apple TV and DVD player, while the two twin cabins are very small, but color-coordinated in blues, whites, and tans – lovely! 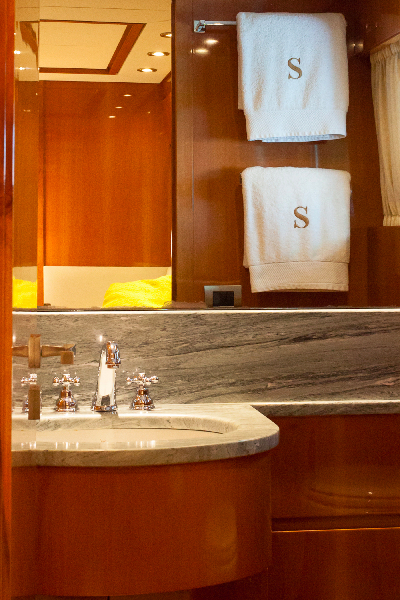 Both Master and VIP staterooms offer Apple TV with DVD. 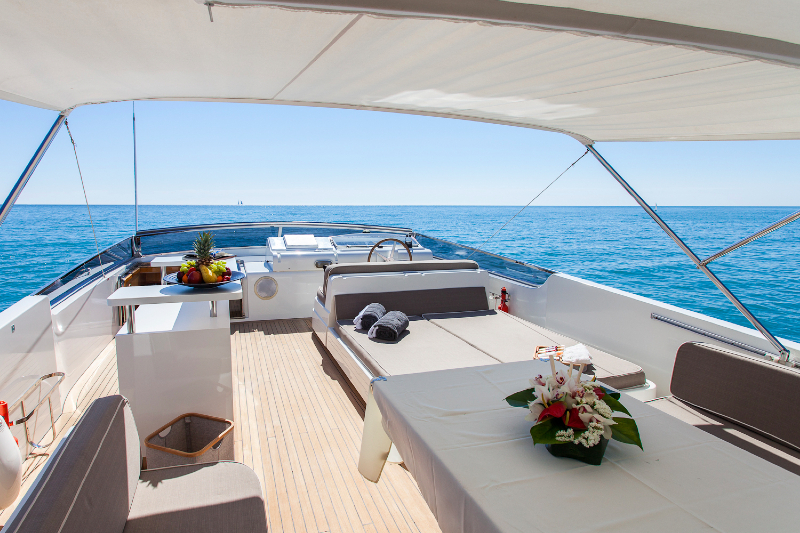 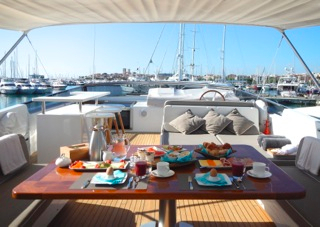 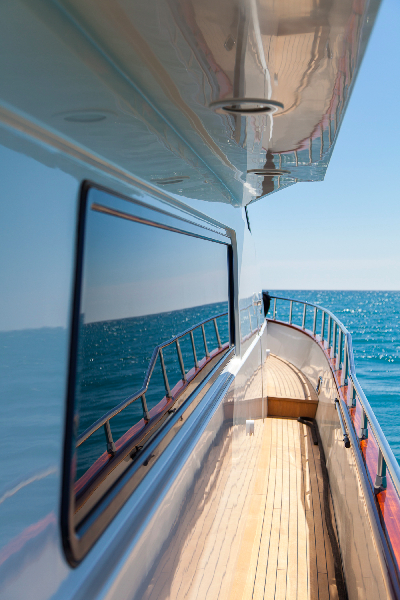 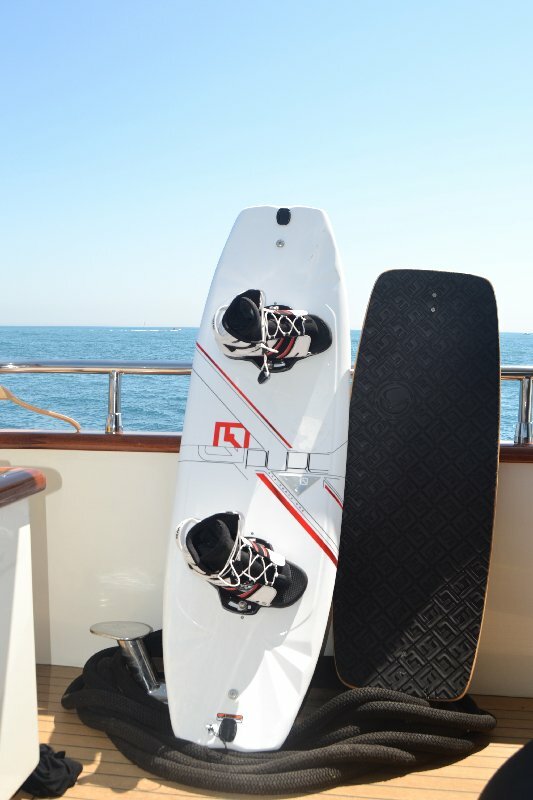 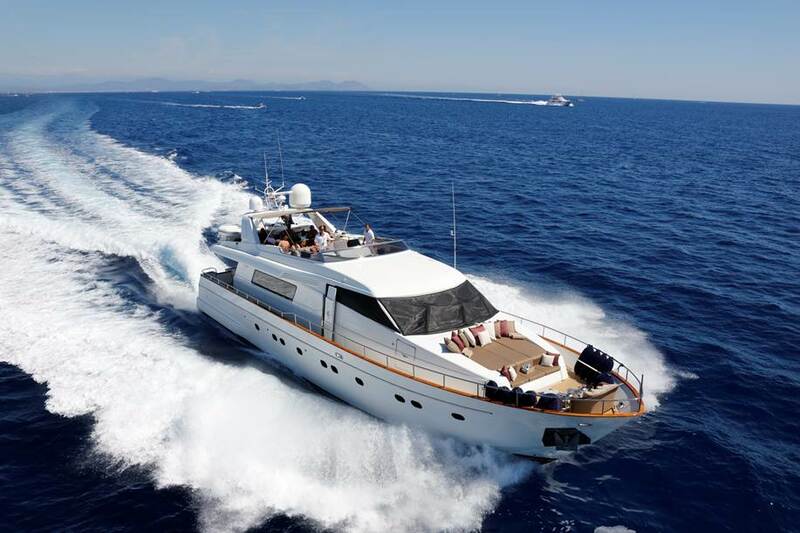 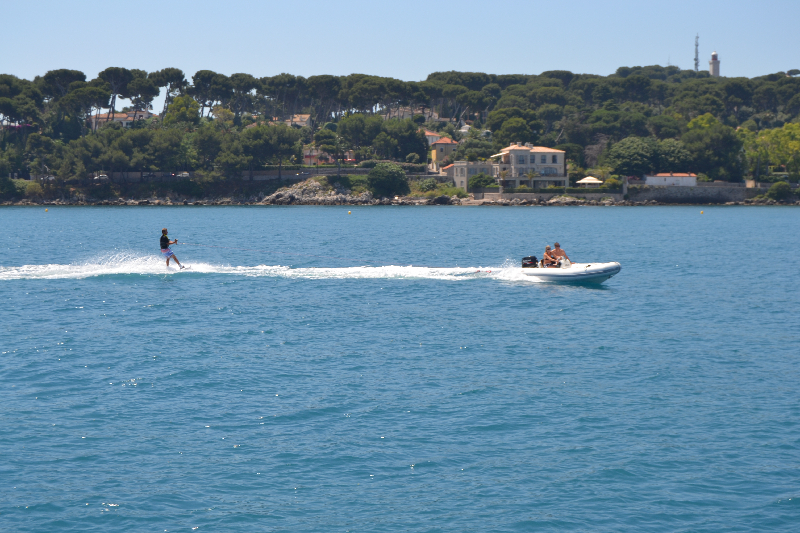 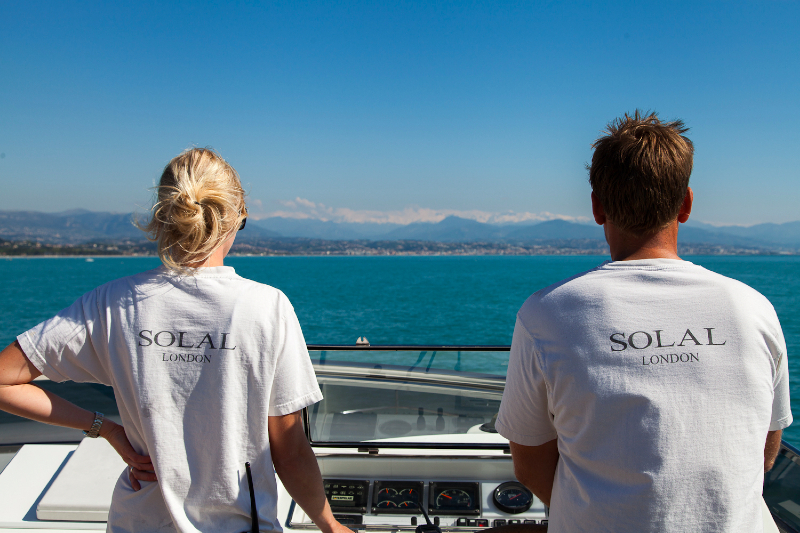 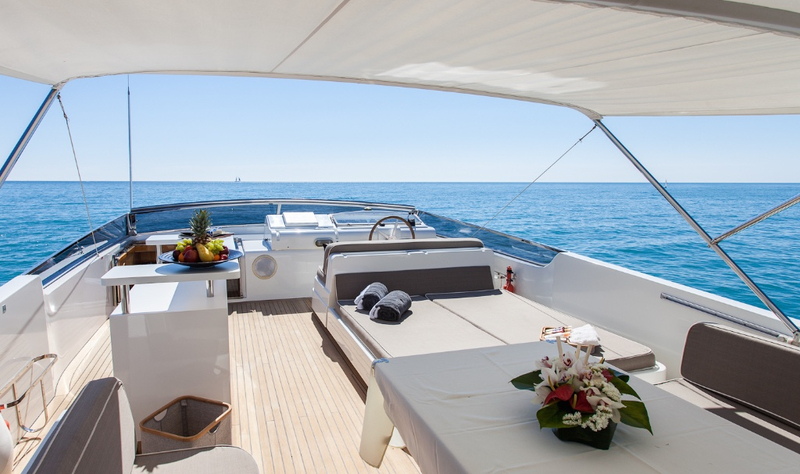 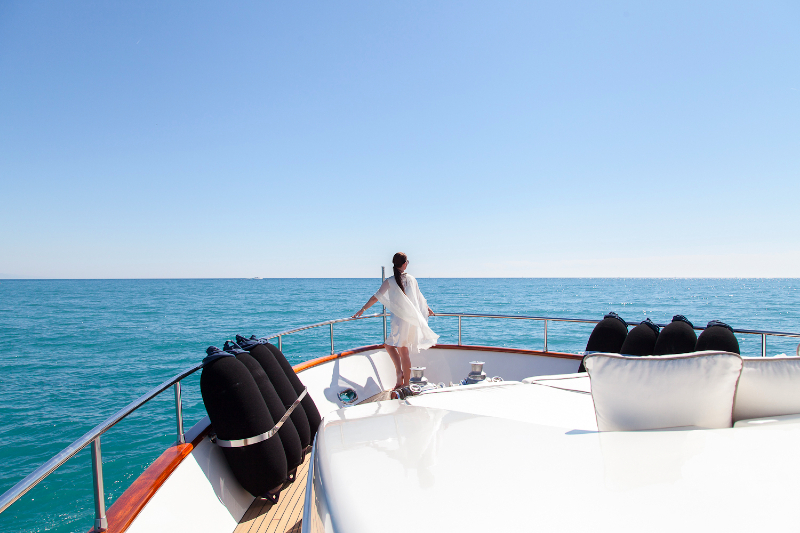 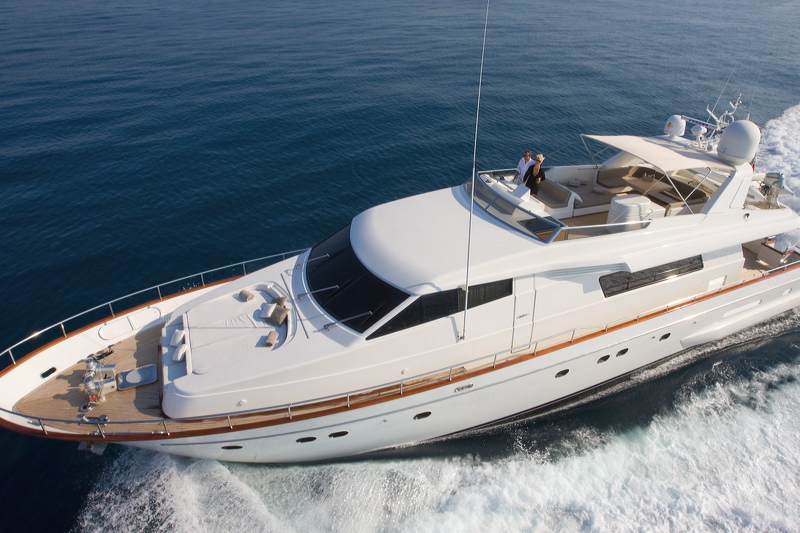 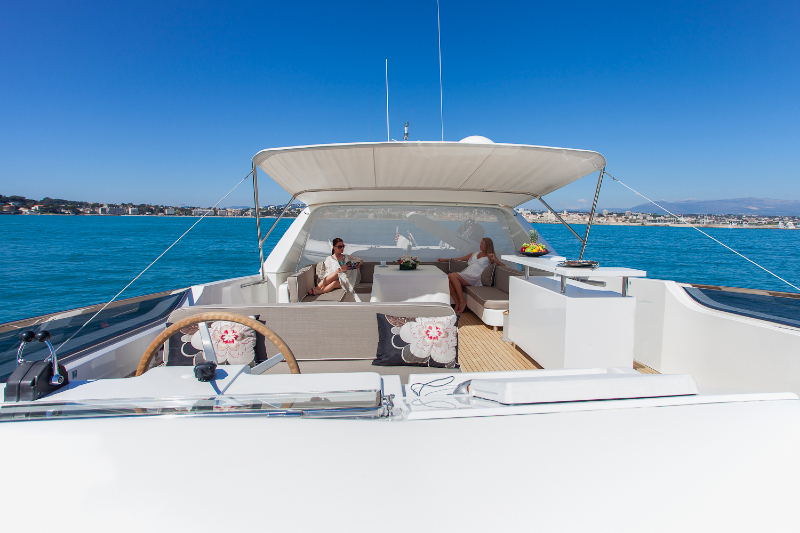 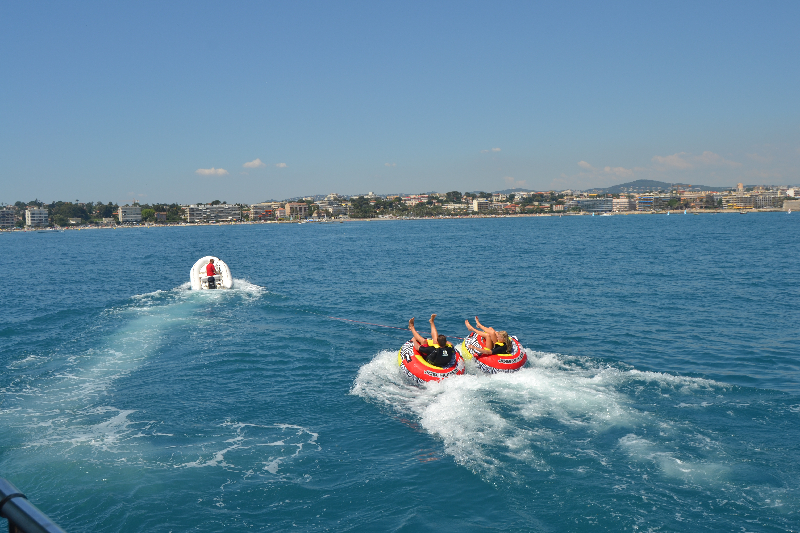 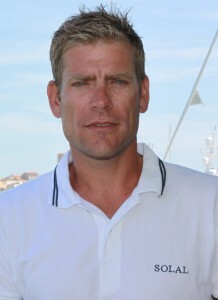 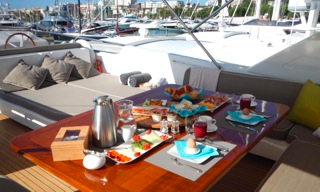 SOLAL’s 18 knot cruising speed ensures fast cruising between the French Riviera’s exotic, turquoise-colored ports.